The Qatari, favored by the problems of his rivals, won and almost sealed his third title. On motorcycles, the Frenchman won and Price remains leader. With the victory of Al Attiyah in cars and of Metge in motorcycles we say goodbye until tomorrow, Thursday, when will be played the tenth and final stage of the 2019 Dakar from Pisco to Lima. Thank you for continuing with us on Wednesday in the sand of Peru . Until then! 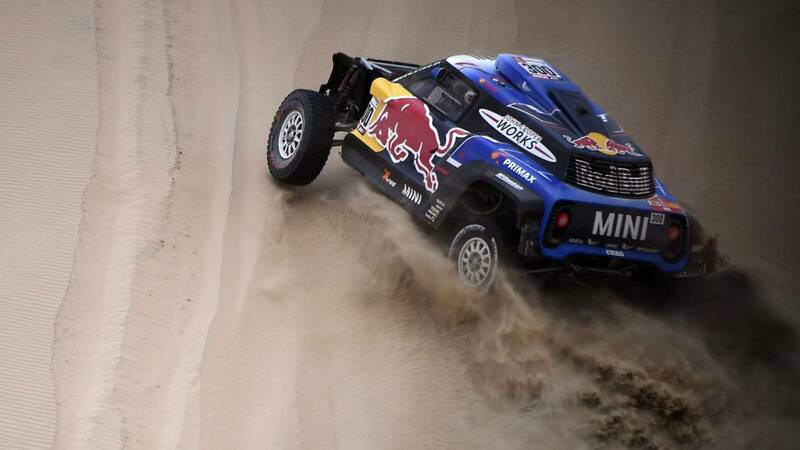 One more day, the victory of the stage was in the hands of Loeb, but in the last stretch of dunes he was stopped (twice), like Despres (overturned), Pzrygonski or Peterhansel (at the beginning of the stage). Also, Al Attiyah was left without rivals around him, won the stage and increased his advantage to 50 minutes over Rome, second of the day and the general. In motorcycles, a group stage was experienced, favored by the exit format (ten in ten). Only Metge was able to escape and win, the favorites were marked until the goal and Price continued with its minute advantage over Quintanilla. Monday, January 7, the Dakar Rally started 2019. A smaller raid than usual that will only have ten stages and will be developed all in Peru. Even so, the route will be very demanding with 70% of stretches of sand and dunes. -7 / 01 Stage 1: Lima-Pisco: motorcycles (15:30) and cars (17:54). -8/01 Stage 2: Pisco-San Juan de Marcona: cars (11:50) and motorcycles (14:34). -9/01 Stage 3: San Juan de Marcona-Arequipa: motorcycles (11:40) and cars (13:44). -10/01 Stage 4: Arequipa-Tacna: motorcycles (12:30) and cars (14:57). -11/01 Stage 5: Tacna-Arequipa: motorcycles (14:15) and cars (15:56). -12/01 Rest day -13/01 Stage 6: Arequipa-San Juan de Marcona: motorcycles (14:30) and cars (16:50). -14/01 Stage 7: San Juan de Marcona: motorcycles (12:00) and cars (13:53). -15/01 Stage 8: San Juan de Marcona-Pisco: motorcycles and cars (13:00). -16 / 01 Stage 9: Pisco: motorcycles (12:00) and cars (13:25) . -17/01 Stage 10: Pisco-Lima: motorcycles (14:43) and cars (15:16).